Dr. George Georgiou received his Ph.D. from University of Alberta in 2008 with specialization in Psychological Studies in Education. 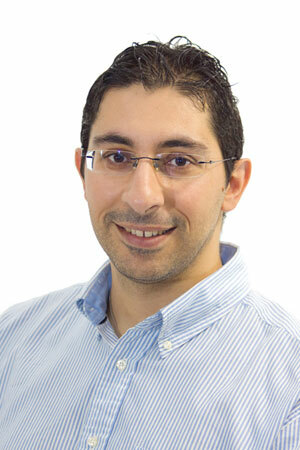 After graduating from University of Alberta, Dr. Georgiou worked as a Research Associate at the Ministry of Education and Culture in Cyprus and as a Postdoctoral Research Fellow at the University of Jyväskylä in Finland. In 2014, he received the Martha Cook Piper research award from the University of Alberta and in 2015 the Richard E. Snow award from the American Psychological Association (Div. 15). In 2018, he became a member of the College of the Royal Society of Canada. Dr. Georgiou’s research focuses on two dimensions of literacy acquisition: (a) the factors (cognitive and non-cognitive) that facilitate or impede reading and spelling acquisition across languages, and (b) the diagnosis and remediation of reading difficulties in elementary school children. His primary area of research concerns the role of rapid naming on reading ability across languages and the mechanisms that are responsible for the rapid naming-reading relationship. In addition, he has a keen interest in distal cognitive processing skills, such as executive functioning and intelligence. His research has been funded by grants from the government of Canada and the University of Alberta. Undergraduate students who want to gain research experience in the Reading Research Lab are welcome to contact me. We have research opportunities at all times.